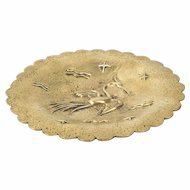 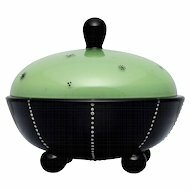 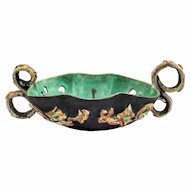 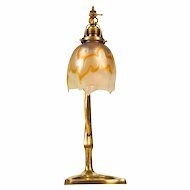 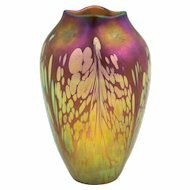 One of the main reasons for the big success of Loetz at the Paris World Exhibition in 1900 was the use of bright, colourful decorations later to be known as Phenomen Genres. 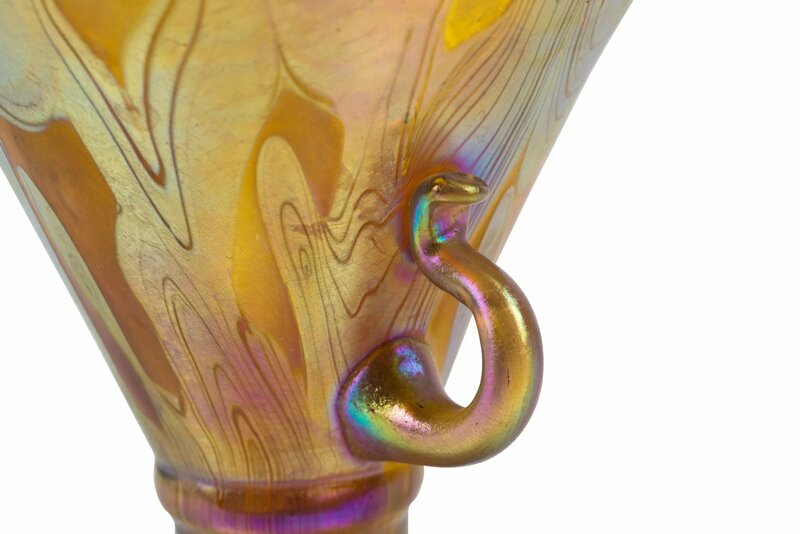 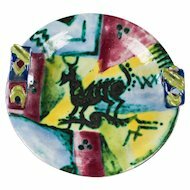 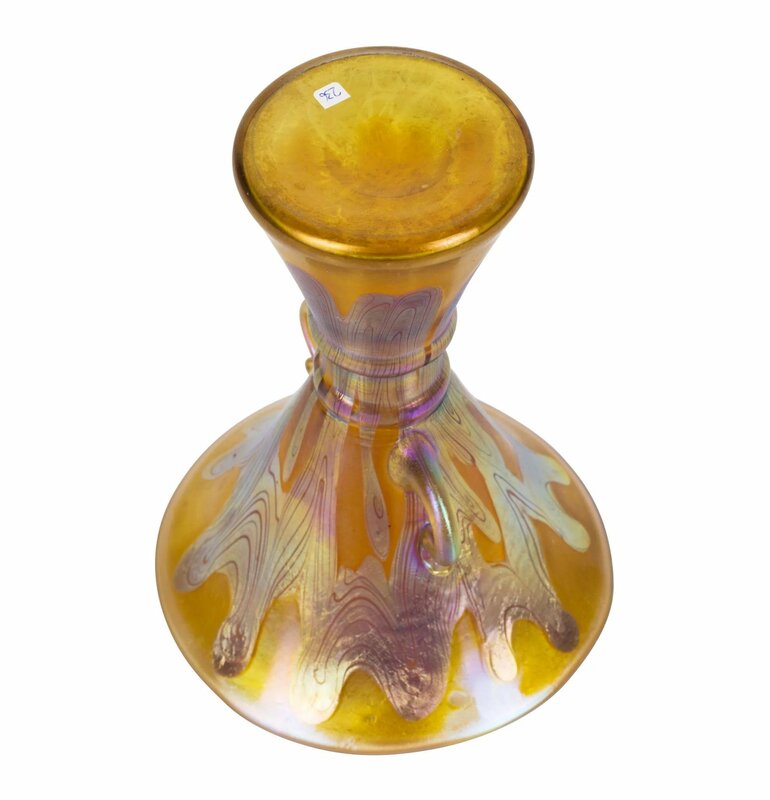 In the last 10 years of the 1800s Loetz began experimenting with colourful and highly iridescent art glass. 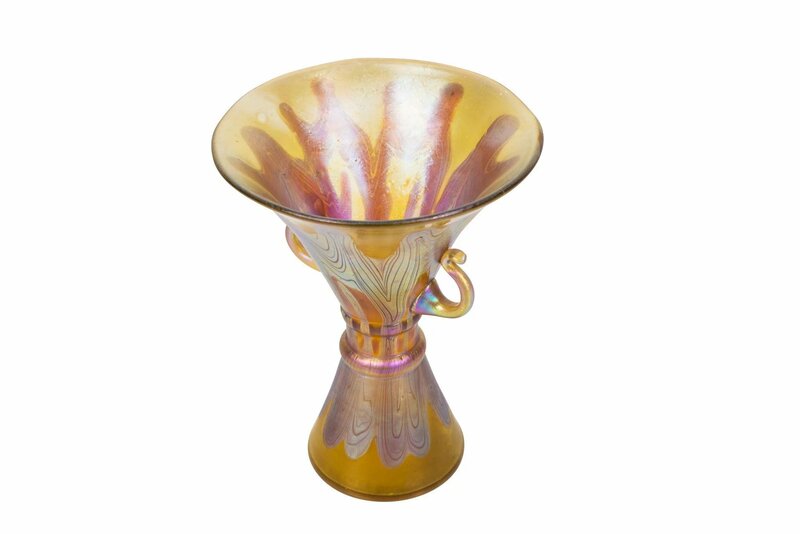 The technique of iridescent art glass was being used by Louis C. Tiffany and Lobmeyr and it is very likely that Loetz got their inspiration from these two sources. 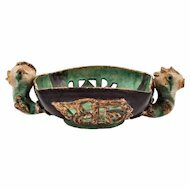 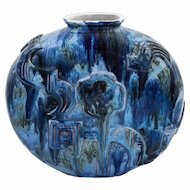 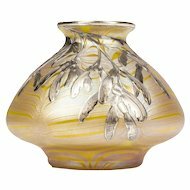 This vase bears one of the earliest Phenomen Decoration variants which has first been documented 1899. 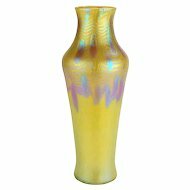 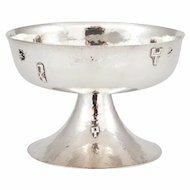 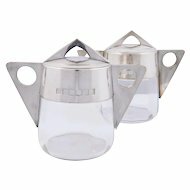 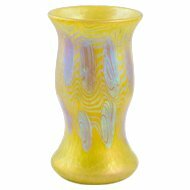 The smooth yellow foundation along with the highly iridescent silver coloured combed decoration grants the vase a slender and highly elegant appearance. 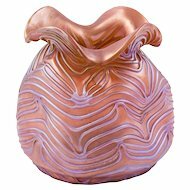 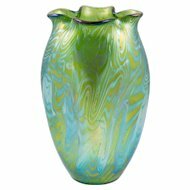 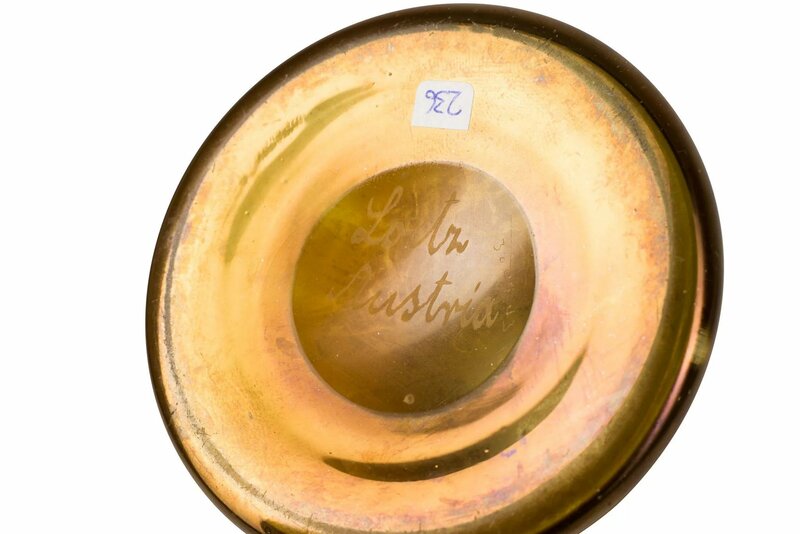 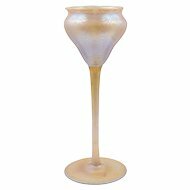 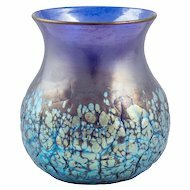 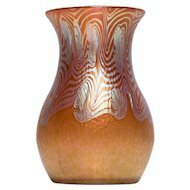 Combined with the highly unusual shape this vase is a very interesting piece of the Loetz glass.